The following questions were included in the NEET 2018 question paper. These are of the usual type and are simple. 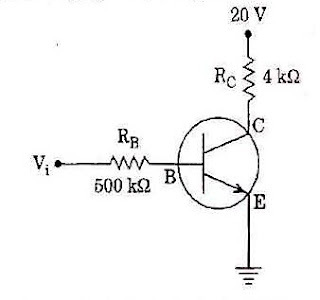 The AND gate at the top has inputs A and B̅. Therefore its output is A • B̅. The bottom AND gate has inputs A̅ and B so that its output is A̅ • B. 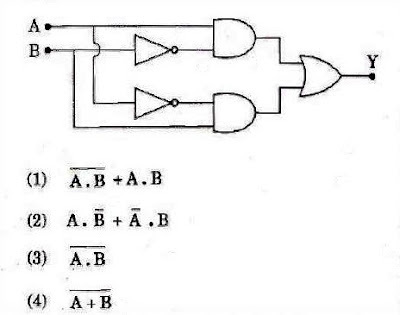 Since the outputs of the NAND gates are applied to the two inputs of the OR gate, the final output (from the OR gate) is A • B̅ + A̅ • B as given in option (2).